Our team works together to deliver unparalleled results in both our multifamily and commercial acquisition and redevelopment projects. David has over 24 years of experience in the acquisition, value enhancement and disposition of institutional and private real estate. Pacific Real Estate Partners was founded in 2005 to acquire value added real estate with institutional and private equity partners. Previous and current partners include GE Real Estate, Urdang Capital Management, ASB Capital Management, Morrison Street Capital, Mesa West Capital, Karlin Real Estate, JCR Capital and NXT Capital. Prior to forming Pacific Real Estate Partners, David was directly responsible for acquisitions and asset management of two privately held real estate investment firms in the San Francisco Bay Area and Western States. David’s experience includes the acquisition and asset management of over $400 million of commercial real estate including office, industrial, retail and single and multi-family properties. David has a BS in Economics from The University of Arizona. 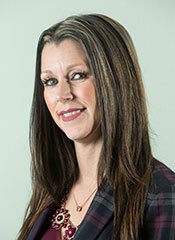 Lea Ann has over 10 years of experience in asset and property management. Prior to PREP, she spent seven years in the Phoenix market working for Greystar Real Estate and Alliance Residential. In 2011, Lea Ann was awarded the Arizona Multi-Housing Association award for Property Manager of the Year for her successful turnaround of a distressed community called The Brittany in Mesa, Arizona. Lea Ann holds an active Arizona Real Estate license and stays involved in the Arizona Multi-Housing Association for continued professional development. Lea Ann was born and raised in Phoenix, Arizona and currently resides in the East Valley. 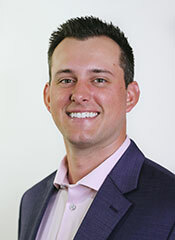 Chris has over 8 years of experience in real estate transactions and construction. Prior to joining Pacific Real Estate Partners, he worked with student and traditional multi-family owner-operators covering markets across the nation with particular emphasis on the southwest and mountain regions. Chris’ experience includes the successful acquisition and disposition of over $200 million of multi-family real estate and overseeing the development of over 110,000sf of commercial office space. Chris was born and raised in Phoenix, Arizona and has a BS in Economics and in Finance from Arizona State University. 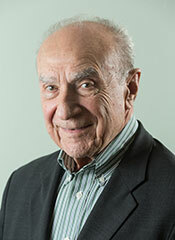 Edward brings over 60 years of leadership and real estate, construction and banking experience. During his career, Edward has constructed and owned more than 2,000 apartment units, built more than 5,000 single family homes, industrial parks, hotels, resorts, golf courses and urban renewal projects. Edward served in the military as a U.S. Naval aviator cadet, graduated from Santa Clara University where he played football, and attended graduate school at the University of California Berkley and Hastings School of Law. Most recently, from 1993 to 2008, he was an advisor to the principals of Pacific Southwest Development, a developer of single family homes, apartments and commercial sites, in Southern Nevada. Currently, Edward is a Director for Nevada Open Door Foundation and Director/President of Encanto HOA Puerto Penasco in Sonora, Mexico. 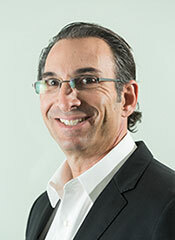 He is currently a licensed general contractor and real estate broker in California.